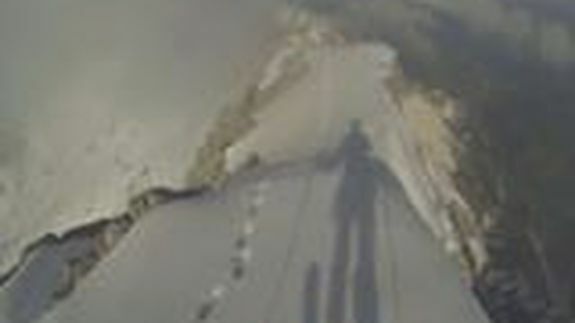 Daring skier defies gravity in thrilling first-person video - trendistic.com: ever tried. ever failed. no matter. try again. fail again. fail better. If you were ever too scared to ski a death-defying slope like Matterhorn in the Alps, this video will not make you change your mind. However, it will give you a first-person point of view of the terrifying plunge down the super steep mountain. Now that’s a real double black diamond.